As is the case for humans, it has long been thought that nonhuman primates can be described in terms of their personality. Scientific observations that support this view include the presence of individual differences in social behavior and that they are relatively stable throughout life. Consequently, individuals are constrained in their behavioral flexibility when dealing with various environmental challenges. Still, the variation among individuals during development suggests that the environment influences how primates behave. Research in fields including psychology, behavior genetics, and behavioral ecology have tried to identify the mechanisms responsible for this interplay of behavioral stability and change. In this review, we integrate theories and findings from research on humans and nonhuman primates that highlight how and to what extent genetic and environmental contributions shape the development of social behavior. To do so, we first provide an overview and define what is meant by mean-level and rank-order change of behavior. We then review explanations of behavioral stability and change, focusing on the role of genetic effects, how environmental circumstances influence behavioral variation throughout development, and how genetic and environmental influences may interact to produce this variation. Finally, we point to future research directions that could help us to further understand the development of social behavior in primates from within a behavior genetics framework. The online version of this article ( https://doi.org/10.1007/s00265-019-2633-8) contains supplementary material, which is available to authorized users. 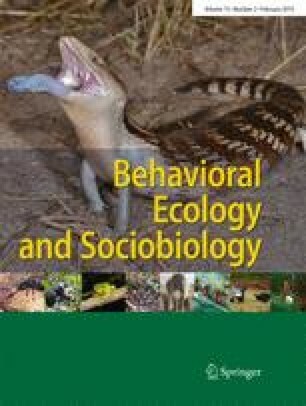 We are grateful to Federica Amici and Anja Widdig for inviting us to contribute this paper to the topical collection “An evolutionary perspective on the development of primate sociality.” Also, we would like to thank two anonymous reviewers for their valuable feedback and improvements on the manuscript. We acknowledge the support by the Leibniz Association through funding for the Leibniz ScienceCampus Primate Cognition and by the Deutsche Forschungsgemeinschaft (DFG, German Research Foundation) as part of the Project number 254142454/GRK 2070.